The Alpha Carafe by Blomus makes serving your favourite wine even more enjoyable. It is beautifully designed with a modern shape, gentle curves and real function at its heart. 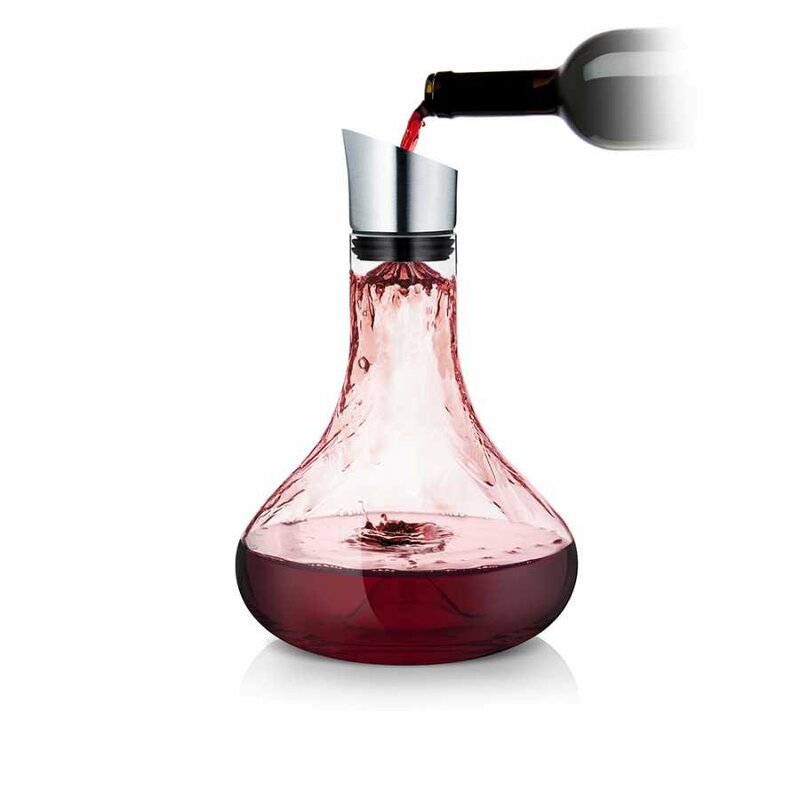 This Wine Carafe features an aerator and pourer which incorporates a ventilation system, allowing the wine to develop its fullest and finest flavour. Despite appearing stylish and modern, the Alpha Carafe is designed with intelligent function in mind. The large, wide bottom of the carafe allows the wine to breathe and the precision spout ensures the wine can be poured accurately and with care. The wine is filtered and aerated every time the carafe is filled, which ensures all unnecessary deposit and cork are removed before the wine is enjoyed. The in-build filter ensures these additional elements are removed before drinking. Each Alpha Carafe is dishwasher safe and comes with a 2-year manufacturer’s guarantee. Each Alpha Carafe measures 26.5cm in height and 18cm in diameter, holding a standard sized bottle of wine. It has a capacity of up to 1.5 litres but around an average wine bottle size is recommended for the best flavour. For more information about the designers behind this piece and to explore the rest of their collection, please visit our dedicated Blomus brand page.